For the half-decade we’ve been in business, Twirling Umbrellas has been devoted to helping small- to medium-sized enterprises navigate the web. We create beautifully designed websites for our clients and make sure those sites get the visibility they need. We’re really proud of the work we’ve done. 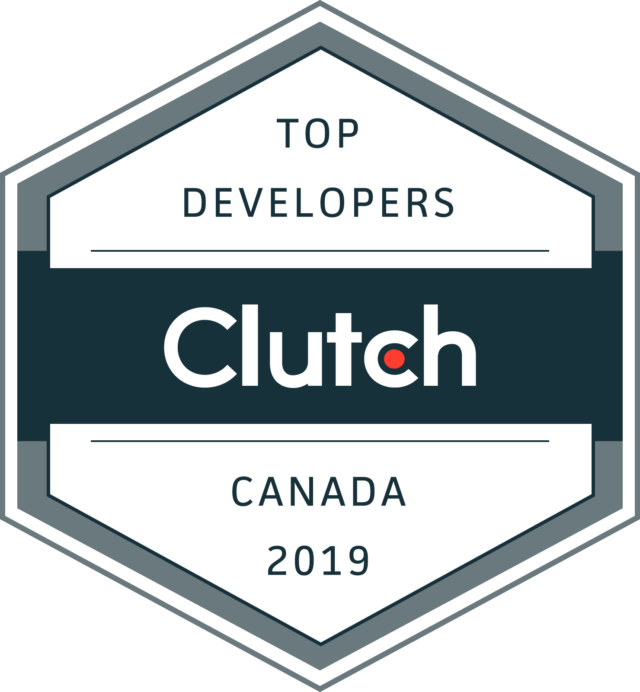 Today, we’re pleased to announce that research firm Clutch has named us a leading Canadian Developer. Clutch is a B2B research and reviews firm based in Washington, DC. Their platform features companies from all over the world and from hundreds of different industries. Clutch looks to connect business buyers and sellers by identifying the best firms. Their research centres around client feedback. Due to the strength of our profile, we’ve been named as one of the best web designers in Canada. We’ve also been named as one of Canada’s best SEO services providers by The Manifest. The Manifest is one of Clutch’s sister sites, they look to help businesses narrow down their list of potential partners. Visual Objects, Clutch’s other sister site, has included Twirling Umbrellas on their list of the best developers for websites, software, and apps. Visual Objects is a platform that business buyers can use to browse the portfolios of creative firms. We’d like to thank our clients for talking to Clutch and we’re looking forward to continuing our relationship with them!